CALI lessons allow you to work through issues in federal income taxation in an interactive format in which you answer questions and explain your reasoning. If you are confused or have questions about an issue, a CALI lesson may provide a quick way to test and improve your knowledge. As in your other classes, the first rule you should follow in Fed Tax is to carefully read the casebook and relevant statutes and regulations several times. While your assigned readings and class discussions should be your primary concerns, treatises, hornbooks, and texts provide additional perspectives, analyses, and explanations to help you make sense of tax law. Boris I. Bittker and Lawrence Lokken, Federal Taxation of Income, Estates, and Gifts. If you want to read a detailed, clear discussion of a tax concept or a clear, thorough analysis of the historical evolution of a particular section, this treatise is a great resource. It is available on Westlaw, which requires a user ID and password. To access this treatise, click on "Topical Materials by Area of Practice" in the Directory, then click on "Taxation." 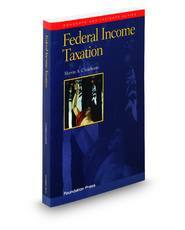 In "Taxation," click to get the complete list of "Law Journals, Reviews & Treatises" then click for the complete list of "Warren Gorham & Lamont Tax Treatises." You will find Bittker and Lokken's treatise on this list. 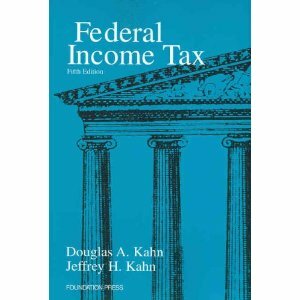 Your Federal Income Tax (Publication 17) This lengthy (295 pages) publication covers all of the basic features and issues under the individual income tax. These and other IRS publications may be downloaded at http://www.irs.gov/publications/index.html. Besides the difficult job of explaining the Internal Revenue Code, the IRS has to translate the Code into forms and schedules that make it theoretically possible for taxpayers to calculate their own tax liability. (I say "theoretically" because the great majority of individual tax filers rely on a tax preparer, an IRS assistance program, or a software program to prepare their taxes. See this story for more.) As you work your way through the Code, look over the forms below and think about what steps personnel at the IRS or a software company must take to translate the Code into a form, schedule, or computer program. For a long time just about everyone has agreed that the federal income tax is broken. Reform is hard, however, because there is not all that much agreement about what steps Congress ought to take to fix it. Here are links to reports by the Treasury Department or presidential commissions that offer proposals for reform of the federal income tax.